This page contains a walkthrough for Mission 12 Payback in Destiny 2, including strategy guides, obtainable weapons and armor, and enemies encountered. Mission 12 Payback starts at the Gulch. Enter the tunnel-like structure in the area until you see another opening to your right. 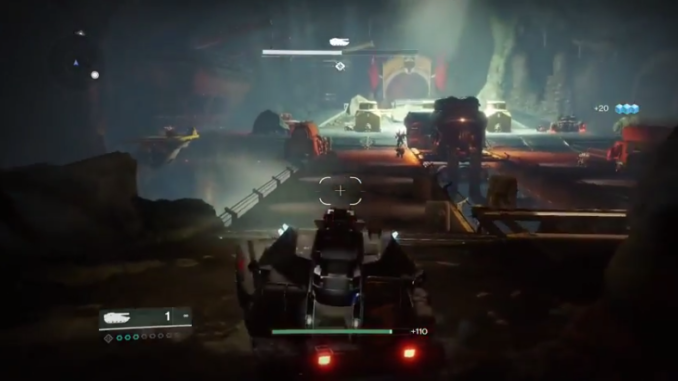 This opening goes into a Cabal chamber where you have to fight several Psions and a single Phalanx. You can either throw a grenade at them or use your close-range weapon (like an SMG or Shotgun) in order to eliminate them quicker. Once you eliminate them, activate the Drake tank’s engine and go into the tunnel nearby. There will be weak enemies standing in your way towards the goal. This is a good time to practice your newly found weapons and work on your aiming. Save your Super for later as there will be stronger enemies coming. Before you reach another opening in the tunnel, you will find a tank summoning point. Activate the device and hop onto the tank that will appear. Be sure to take out the Thresher that appears as you are in the tank. After taking out the enemy, turn right and go around the corner, then you will encounter another Thresher and one Interceptor. Eliminate them before proceeding. Go around the rock pillar and you will find another tank summoning point. Hop onto it and head up the slope. Eliminate the enemies that will block your path up. You will eventually have to turn right and take out an Interceptor after making the turn. Go to another tank summoning point at the end of your previous tank’s path. Take out all the enemies blocking your path. 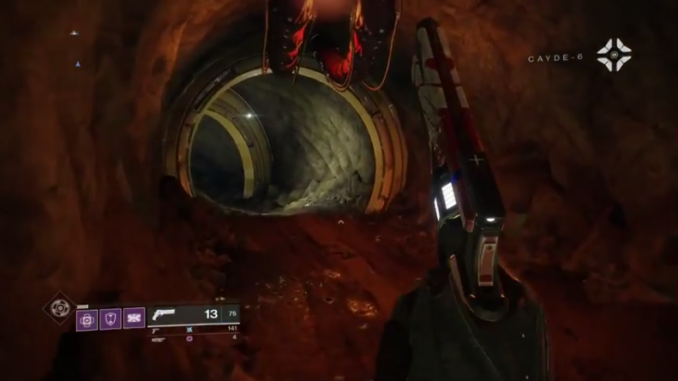 Enter the chamber at the end of the tank’s route and defeat the two Phalanxes inside. There will also be some Psions and an Incendior in the area. When you are in the second room, head left until you find an open door where a Centurion is located. You may want to use your Super against this enemy as it is quite strong. 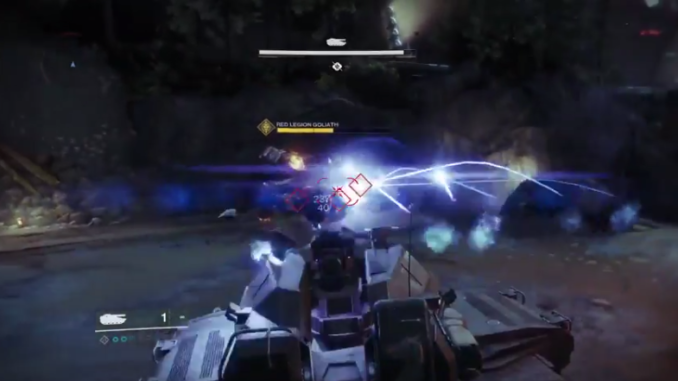 There are also Phalanxes wandering around, so take them out as well using your Super. Once you’ve eliminated them, run towards the blast door and use your Ghost to open the door. Go back to your tank and head towards the newly opened path. Once you enter the Restricted Zone, you will encounter an enemy tank nearby. Move to the corner of the tunnel and take out the two Interceptor blocking your path. Also, take out the two Centurions on the way towards the goal. 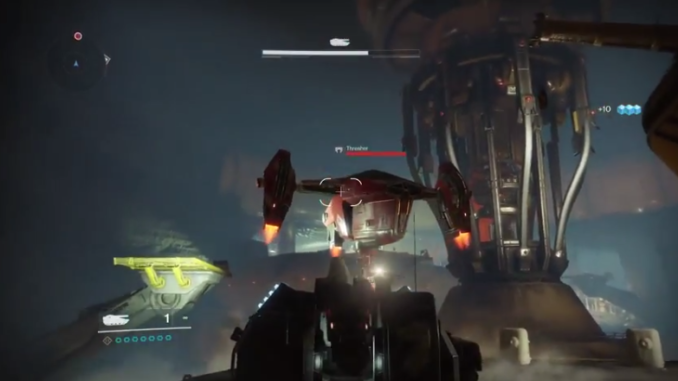 You will eventually have to fight a Goliath that is accompanied by two Interceptors. Use your long-range weapons against the Goliath as it can deal massive damage when you are close to it. The long-range weapon is also useful against the Interceptors, so you don’t need to switch out your weapons. Use the pillars in the area for cover and keep firing at the Goliath while covering. After taking out the Goliath, go back to the blast door and get a new tank. Head towards the path towards the bridge. Once you reach the control room, get out of the tank and head towards the ramp. Defeat the enemies in the first room and head up the second upper chamber. Use your Super to charge through the the Centurion and War Beasts guarding the chamber. Activate the console in the chamber and go back to your tank. Go across the bridge and cross the tunnel entrance. Head up through the connecting tunnel and hop onto a new tank and head to the cavern where there are two parallel bridges. At the start of the next objective of Mission 12 Payback, you need to eliminate the Cabal forces in the area. After defeating them, take out the two Goliath tanks located on the other side of the bridge. Use the pillars in the area as cover against the Goliath’s attacks, then fire constantly at them until they explode. Focus on one Goliath at a time. After dealing with the Goliath tank, take out the Threshers and other weak enemies at the bridge. Once the battle is over, head out into the tunnel and you will eventually be at the Sunken Isles. Destroy a couple of Generators in the area. Destroy the Generator that is closest to the lake and the one at the right of a Cabal carrier ship. Use the tank and drive down the road to the side. Eliminate the Interceptors near the generator. Use the tank’s cannon and fire at the generator. Go to the main road and take a right above the second generator. Eliminate the Interceptor and head to the main base door. Hit the generator’s core. Once you take the generator out, a boss fight for Mission 12 Payback will commence. Take out the enemies closest to you first and use the tunnel near the carrier bay as a cover to avoid taking damage. Use long-range weapons against the Red Legion Goliath, or you can also use a tank that you can summon at a nearby summoning point. Concentrate on eliminating the Goliath first while avoiding the Interceptors. Once you’ve eliminated all of them, find the carrier’s exhaust ports on the road ahead. Fire at it near the lower center ports and eliminate the enemies stopping you. Mission 12 Payback will be completed after you take out the exhaust ports.